And now, the much-anticipated conclusion to my Harry Potter Abridged series, on Harry Potter's birthday, no less! Now I can resume posting my usual subject matter, and all my loyal readers who aren't Harry Potter fans can stop feeling alienated, or at least go back to feeling alienated for different reasons, like the fact that I'm abrasive and awkward. 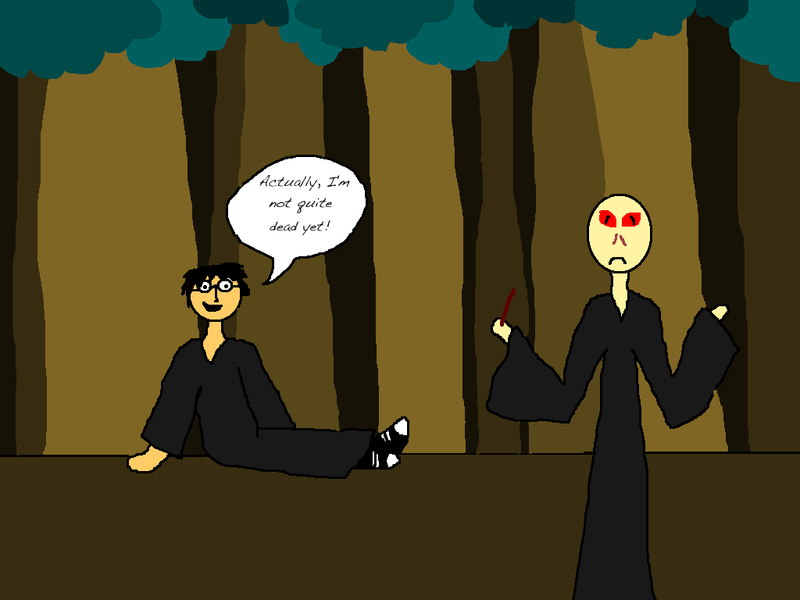 Anyway, I present to you... Deathly Hallows Abridged! Harry, Ron, and Hermione spend most of the seventh book tracking down and destroying the horcruxes Voldemort created to split his soul so that he couldn't die. 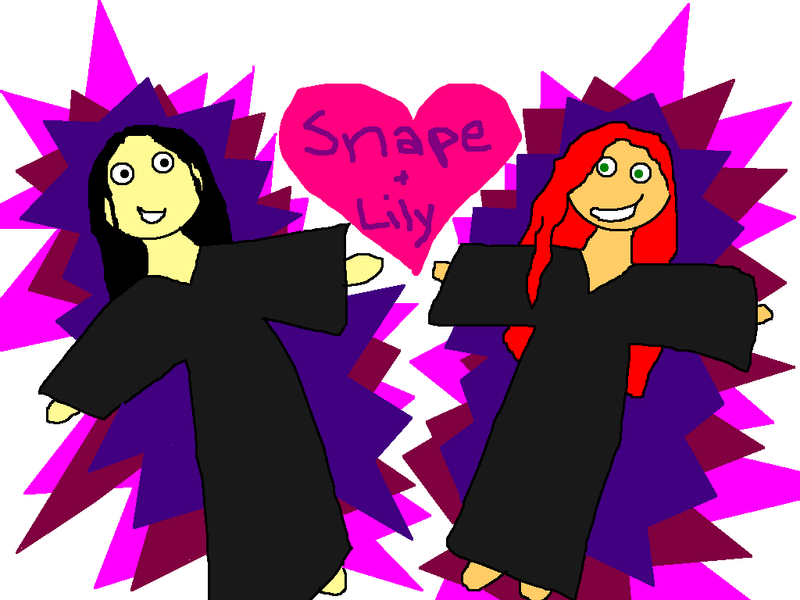 Well, they spend the first third of the book wandering around aimlessly and hiding from Death Eaters, but then they get down to business and destroy some horcruxes. Finally, Harry and Voldemort face off at the Battle of Hogwarts, and Harry lets Voldemort kill him, believing this is the only way to fulfill their destinies and keep more people from dying. This is kind of what happens... except not really. 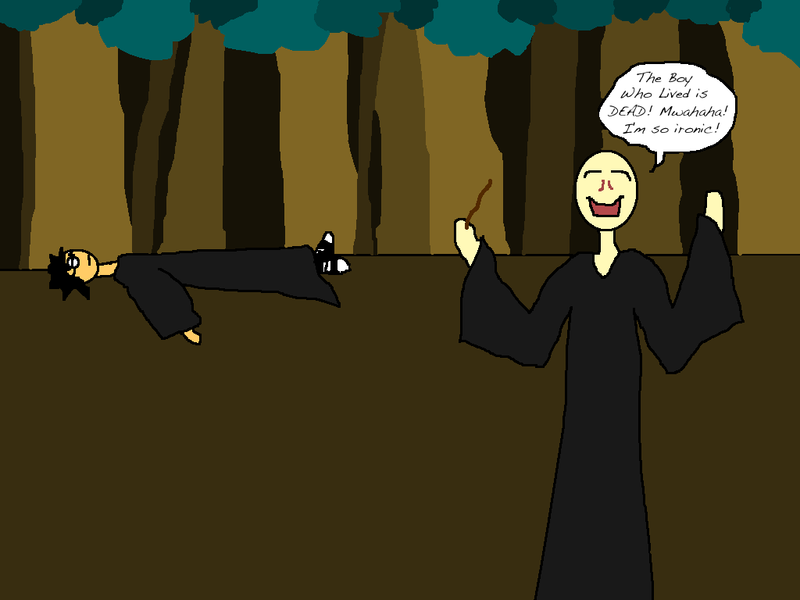 And then Voldemort tries to kill Harry again, but Harry uses "Expelliarmus!" and Voldemort's curse rebounds on him (just like it did when he tried to murder Harry as a baby... and when he tried to murder Harry five seconds ago...) and kills him. Some people just don't know when to stop. 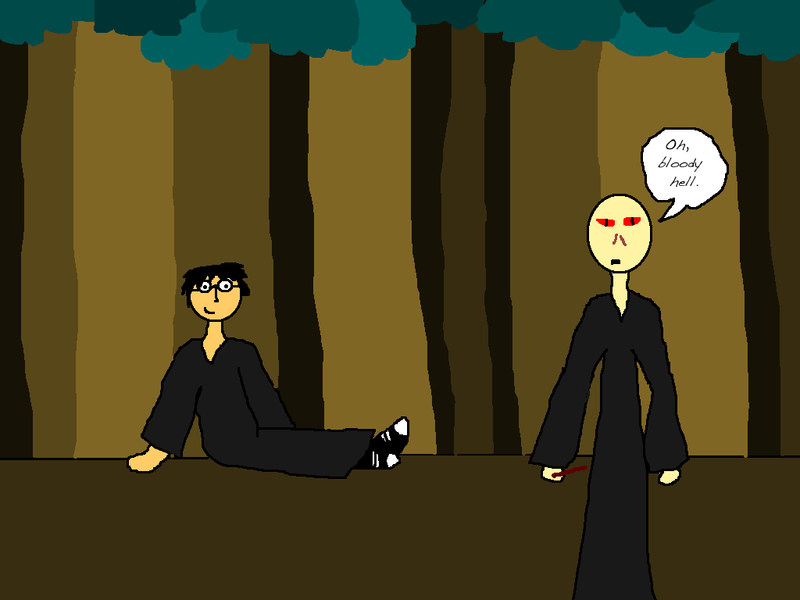 Also, Harry finally realizes Snape wasn't evil. Plus, Snape was in love with Harry's mom. Awkward. Too bad he got killed by a giant snake.